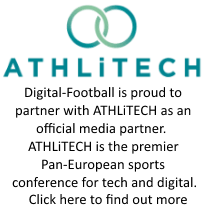 Only last week Digital-Football.com suggested that clubs might start flocking to the Social Media network of the hour – Pinterest. Well, this evening it was brought to our attention (by @Di_Elle on Twitter) that the Italian side were the first in Europe (as far as we can tell) to use the platform. The AS Roma Pinterest page is really quite impressive and already boasts 21 boards and 529 pins. The Serie A team clearly understand the channel and have immediately focussed on providing their fanbase with content they want. Pinterest is an ideal tool to curate content and organise club collateral into visually interesting “boards”. Most importantly however, Roma recognise that their fans should be included in their official club presence and as such have curated boards specifically for fan photography, fan videos and even a selection of amazing AS Roma themed cakes (because lets face it, you can’t avoid cakes on Pinterest!). The AS Roma Pinterest is a fine example for other clubs to follow – it clearly shows their understand the channel (the fact they have focused on fashion, cakes and photos shows they understand the community). But also they understand how to use the technology to curate fan content and really get the fans involved.